Each box measures 12.25" x 15.75" x 7.8" inches. 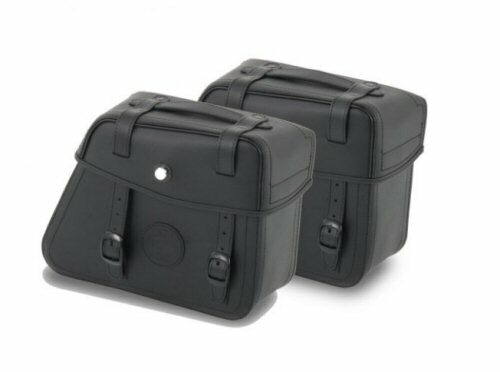 Hepco & Becker Rugged bags combine the familiar characteristics of Hepco & Becker quality with nostalgic roots. This is not your typical leather bag. Its unconventional character is further enhanced by the contemporary distressed look that has become popular for the modern cafe and classic look. The surface of the bags has a special treatment closing the leather pores making it averse to rain and other debris commonly found when riding. Even the leather straps have the attention to detail Hepco & Becker is known for by adding black buckles instead of the typical chrome. The inner walls of the bag have a hard contour and allow for a locking mechanism that come with the bags. 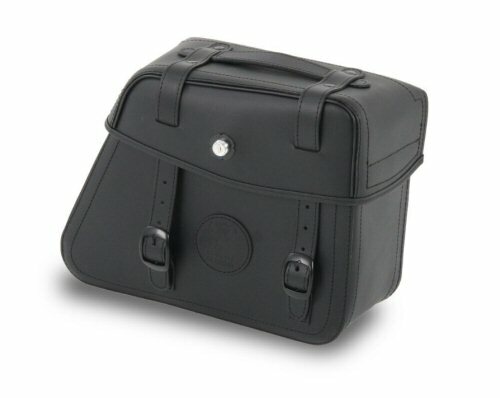 All bags come with locks and keys for a safe and secure ride.